Ocean air wafts ashore over a narrow sliver of Northern California and creates the redwood forests of song and lore. Where land meets sea, a giant thrives. The people of Gualala, a quaint coastal town some three hours north of San Francisco, know well the fog that rolls in off the Pacific Ocean. So did their predecessors, the Kashaya Pomo Indians. “The water coming down place” is the Pomoan name these Native Americans christened the stunning setting where the mouth of the Gualala River meets the cold ocean waters and the coastal fog seeps into the nearby forestlands, covering them like a fluffy blanket. 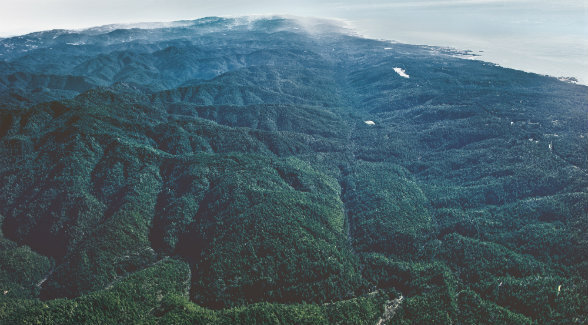 The millions of acres of forestland that surround Gualala are home to the tallest tree on earth, the California redwood. Sequoia sempervirens does more than thrive on this thick coastal fog. It actually needs the smokey vapor to grow as tall as a 30-story building (360 feet). Although the average redwood lives 500 to 700 years, ancient ones reach back to the days of Caesar. Another singular quality of this species is that new trees will sprout from the stumps of ones that have been felled. 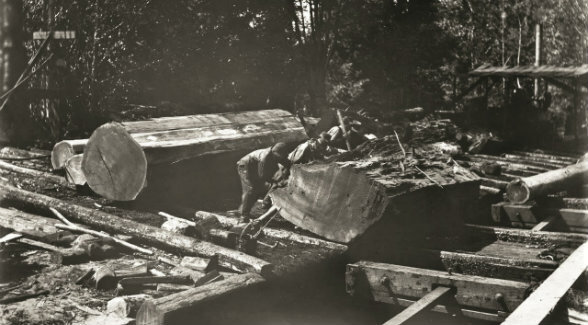 Beginning in the 1860s, the timber industry was the economic mainstay of Gualala, and it would remain so for more than a century. Thanks to its natural acidic tannins, the redwood is rot-resistant, disease-resistant, and incredibly strong. Its value as a timber product is unmatched. Much of San Francisco’s early infrastructure was built with this magnificent tree, and, after the earthquake and fire of 1906, it was rebuilt with redwood. This unique tree has shaped Gualala’s history, from the days of the Kashaya Pomo to its rise as a logging and sawmill hub in the 1860s to the late 1940s when three Floridians recognized its sterling qualities. J. Ollie Edmunds Sr., Sigmund Fogelberg, and Sherwood Hall had offices in the same Jacksonville bank building. During the Great Depression, the three began investing in Northeastern Florida timberland whose owners couldn’t pay property taxes. Fogelberg and Hall were foresters. A lawyer and judge, Edmunds enjoys the distinction of being the sole alumnus of Stetson University to serve as president of his alma mater. Two factors motivated the trio: the economic realities of the times and a passion for the great outdoors. The typical redwood lives 500 to 700 years and can grow 360 feet tall. The three formed a general partnership, with Hall staying on as resident partner and the others returning back East to pursue their careers. They formed a timber management company to work the land, but the partners remained hands-on, ensuring it was always well managed. The timber tract became a family affair, especially for the Edmunds children, Ollie and Jane, who would stay in the bunkhouse above the offices. Walking amidst the towering redwood trees was like a religious experience for Ollie and his father. The connection they developed to this landscape ran deep. When Ollie’s mother passed away, his father took a year off from the presidency of Stetson. He went to Gualala to clear his mind. Then he returned to his post. While in college, Ollie transferred from Washington and Lee to Stanford in order to become more familiar with the redwood timber business. On his vacations, he worked on a surveying crew as the pole-and-ax man. He lived in the Gualala bunkhouse. He and his father even discussed going to forestry school together. Ollie had caught timber fever and acquired his father’s passion for the business and the land. But instead of forestry, Ollie went to medical school and became an orthopaedic surgeon. Since 1976, he has been a professor of orthopaedic surgery at Tulane University School of Medicine in New Orleans as well as chief of hand surgery. But his love of the land didn’t fade. He acquired 8,000 acres of Louisiana timberland. Following his father’s death, he became CEO and chairman of Gualala Redwoods. To prepare for this endeavor, he enrolled at the Wharton School at the University of Pennsylvania and studied accounting, finance, and mergers and acquisitions. 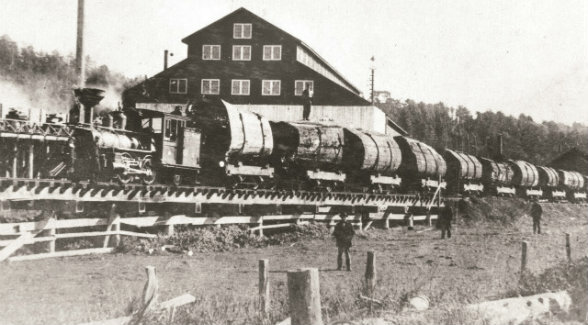 In the 1800s, log trains such as this one hauled a single old-growth redwood per railroad car to the sawmill in Gualala. Redwoods built San Francisco, then rebuilt it after the Great Earthquake and Fire of 1906. “I would advise leaders of closely held family companies and other CEOs to do some homework,” Ollie says. 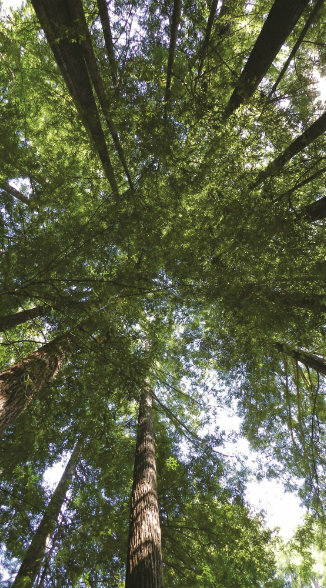 “When I became CEO and chairman, I had to study accounting, which they never taught me in medical school, so I could read financial statements and cash flow reports.” He attributes much of the financial success of Gualala Redwoods to this prowess. Aquatic life thrives around cull logs. Every year, Ollie and his foresters tour Gualala Redwoods by helicopter. “We pay particular attention to our harvested areas. It’s amazing to me how fast the trees in these plantations grow, and how well stocked and green the harvested areas are,” he says. Well-maintained roads diminish sediment runoff and keep surrounding streams and rivers healthy and clear. Cull logs placed in waterways enhance fisheries. 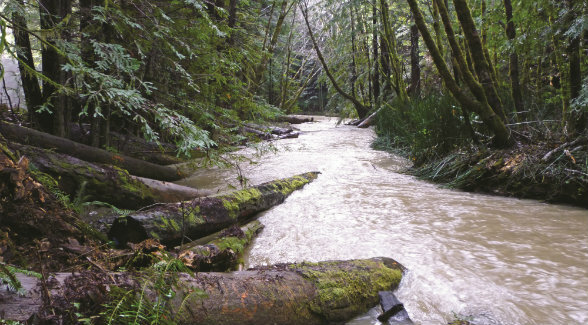 Thanks to these efforts, and many others, Gualala Redwoods was honored when the Gualala River Watershed Council received the first annual Watershed Stewardship Award from the North Coast Water Quality Control Board. 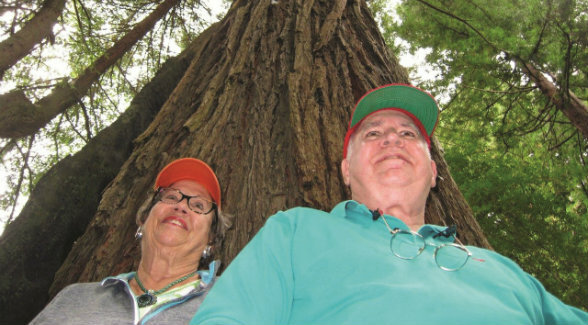 Like the trees they have nurtured, Jane and Ollie’s roots run deep at Gualala. Gualala has also evolved, transforming itself from a timber center to a destination tourist town. New hotels have opened for business. So have shops and restaurants. The Sea Ranch subdivision is a prime example of this growth spurt, drawing in second homeowners from near and far. Gualala Redwoods has bolstered this trend by donating 11 acres of prime Gualala River frontage and redwood timber to Gualala Arts for its impressive arts center. In honor of Ollie’s father, Ollie and his sister, Jane Edmunds Novak, established and support the J. Ollie Edmunds Distinguished Scholarship at Stetson. It awards four-year full-ride scholarships to exceptional students. Ollie also supports lectureships at Duke, Tulane, and the Orthopaedic Research and Education Foundation. Ollie credits his father with stressing the importance of giving back to the land and the communities that helped shape them. “He was really passionate about it, and he passed those values down to me. I’m trying to pass down the values of philanthropy and noblesse oblige to my children,” Ollie says. 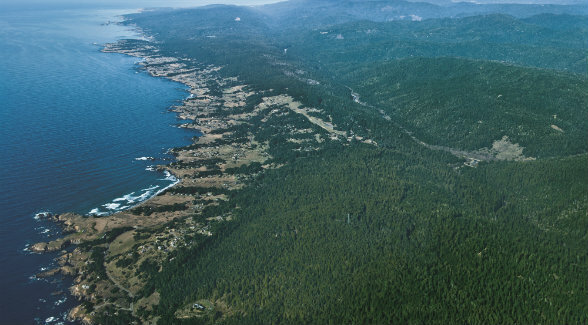 Along the coastline, two seas meet: an ocean of redwoods and the vast Pacific.